The piano is an extremely diverse instrument. It is percussive as well as melodic and beautiful in sound. The piano was invented around about 1780 and since then It has been a big part of every musical project. Piano lessons can provide you with a sense of conducting your own little orchestra. Many major composers are also great pianists, from Beethoven to Elton John, they all took piano lessons! Playing the piano improves your coordination skills, you need both hands to manoeuvre around the keys. Eventually you will gain independence to each hand. When a new player finds this out it is often an awe-inspiring feeling. 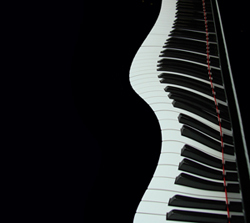 The piano can give the feeling of creating your own band without needing any other players. Piano lessons can truly give the student the opportunity to have many wonderful musical experiences. The guitar is one of the most popular musical instruments to learn, and it is used to play a wide range of styles from rock music to country & western. All styles use the same guitar to create many different sounds. The guitar has been around since the 1500s, but it has changed quite a bit since then. The electric guitar is the most recent development, and it has had a great effect on the popularity of the guitar as an instrument to learn. 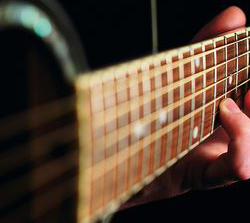 Learning to play a guitar is very much like learning to speak a language, and sometimes it can be quite challenging. The main quality musicians possess is discipline, you have to be disciplined, setting aside time each day to practice. But playing an instrument helps you to relax and has a calming effect on the mind. As you improve opportunities will arise for you to share your guitar playing with others. All of this will definitely enrich your life. Music is an art that allows people to express their feelings. Recent studies have shown that children who play music have generally higher test and IQ scores than those that don't play. Adults can also benefit greatly from learning to play an instrument because it helps the mind stay active and alert - the ultimate in brain training. If you are a beginner looking for good value and enjoyable music lessons, then you don't need to look any further. I am classically trained although I can teach most genres of music, from pop and rock to classical. My home music studio is located in Fordingbridge opposite the Augustus John pub. I provide piano and guitar tuition to adults and children ranging in ability from beginner to grade 6 and hold a recent enhanced DBS certificate (formerly CRB). I can teach you at my home studio or in your home and offer 30, 45 or 60 minute lessons starting from £15. My teaching philosophy is to support and help students to play the music and songs that they want to learn to play while (if required) helping them to pass The Associated Board of the Royal Schools of Music (ABRSM) exams. Song Writing - Composition - Musicianship - Home Studio, etc.